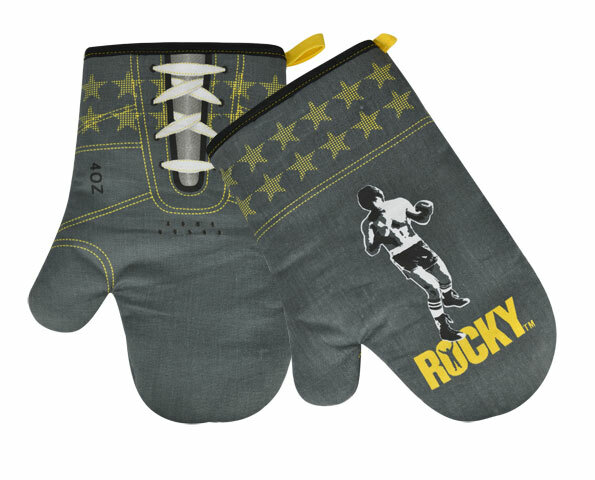 Rocky Balboa Ovenmitts. Defend smoothly into the kitchen with these kitchen gloves, to see who burns. It is just your suffering in the kitchen, is just being afraid of cooking time, turn to the Rocky Balboa of the kitchen. To see that dares oven burn when I see the rocky gloves wrapped in your hands.